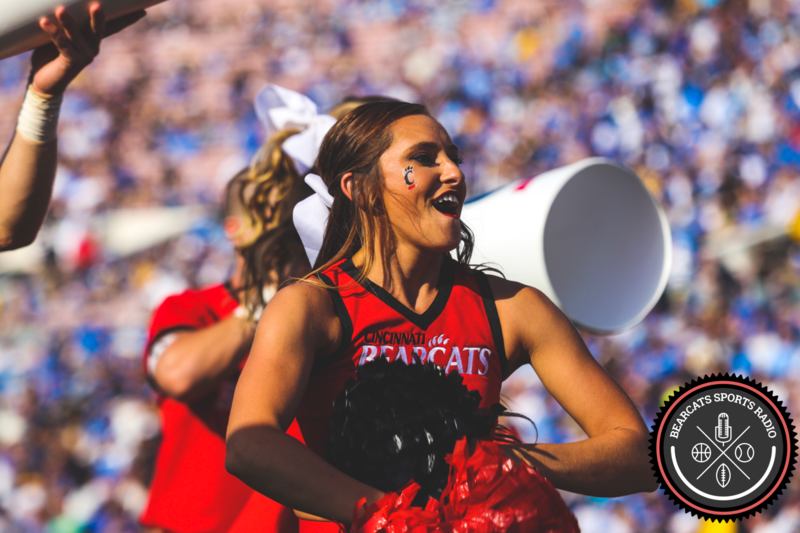 Local legend Zach Edwards is now enjoying his last season as a Bearcat. Edwards played at Middletown High School. He was ranked as a 3-star prospect at defensive back and receiver. Edwards stands at 6’1” and 200 lbs. 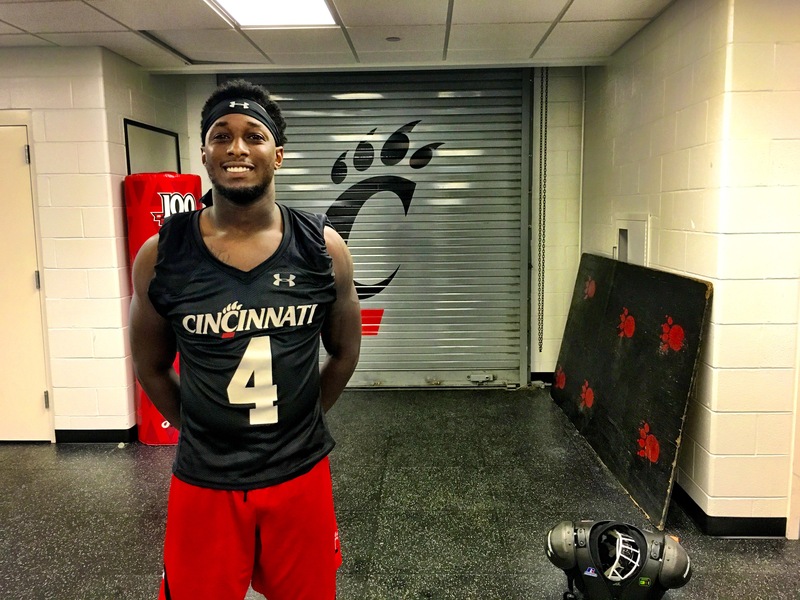 As a senior, #4 is a key cog in the Bearcats defense at safety. He is also fully healthy after camp, heading into the regular season. In 2014, he finished the year 2nd on the team in tackles. In 2015, Zach saw action in every game of the regular season and was named an All-American Athletic Conference Honorable Mention. This year, he hopes to leave Clifton with a bang and do everything he can to lead the defense to a great year. We had a chance to speak with Zach during the last open practice before the season opener against UT Martin. 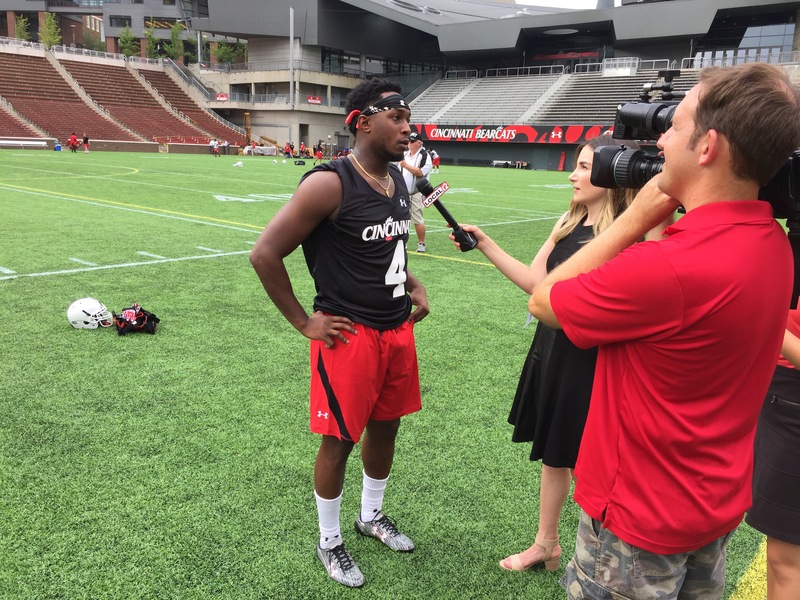 Practice opened with a sweltering temperature of 130 degrees on the turf in Nippert and ended with a reward of rain showers while the players headed into the locker room. Finishing his last Camp Higher Ground is a bittersweet feeling for #4. Edwards also mentioned sophomore corner #10 Alex Thomas and sophomore defensive end #47 Landon Brazile have both really stepped up this year. Between football and class Zach has a full plate. However, he did get the chance to enjoy the Drake and Future Summer Sixteen concert in Columbus, Ohio over the summer. His favorite moment was seeing Kanye West come out and sing Famous. He also loves to listen to Lil Wayne, his favorite artist. Edwards wears #4 with a great deal of pride in honor of his best friend, who was severely injured in an accident several years ago. Majoring in health education and community health, after his football career is over, Edwards plans to pursue a career in drug abuse counseling.